Most elderly drivers outlive their safe driving lifetimes by 7-10 years. Determining the specific cause/s of the dangerous driving is the best way to manage the challenge. First, separate chronological age from medical/cognitive issues related to aging. Understanding the distinction-between age and the actual direct cause is important because while we can’t turn back the clock and make a person younger; often we can correct or mitigate physical/cognitive issues that are the direct causes of the dangerous driving. For example, we’ve all said or heard statements like “Mom ran into the other car because she’s too old to drive”. While common, this may be an oversimplification. It’s likely more accurate to say “Mom ran into the other car because she has problems with her eyesight and couldn’t tell that the other car had stopped until she was too close to avoid hitting it”. 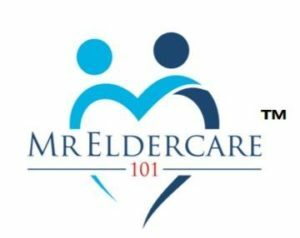 By recognizing that an inability to see versus chronological age was the cause of the accident the caregiver/driver has created an opportunity to correct or mitigate the problem. By assessing the REAL cause of the dangerous driving and improving the driver’s vision two benefits have been created. First, the driver (and their passengers) are safer every time they drive and their “safe driving lifetimes” have likely been extended. This is HUGE!!! It’s far easier-to get older drivers appropriate corrective lenses, or have them change their driving behaviors (ex: drive only during the day) than it is to have them “retire” from driving all together. Beyond being the easier solution, this distinction is important for many other reasons; two of which are: 1) driving is more than just a mode of transportation for older people, it provides a sense of independence & freedom; and 2) older people’s transportation needs do NOT disappear when they stop driving-so if they’re unable to drive themselves a caregiver must provide transportation or someone must pay a commercial vendor for transportation services. The best way to determine the direct cause of an older people’s dangerous driving is through a comprehensive 3-part assessment of the driver, the vehicle and the person’s overall transportation needs. Additionally, for the time when a person can no longer drive safely, A Driving Alternatives Plan (ADAP) will be required. A comprehensive plan will incorporate the caregiver’s other responsibilities in addition to the older person’s transportation needs. The goal: helping caregivers live their best lives, while also insuring their aging loved ones can travel to their destinations and back home SAFELY. For more information on keeping your aging loved ones SAFE please download our FREE “Dangerous Older Driver!-10 WARNING SIGNS” checklist at http://bit.ly/10_Warning_Signs. Good luck on your caregiving journeys.